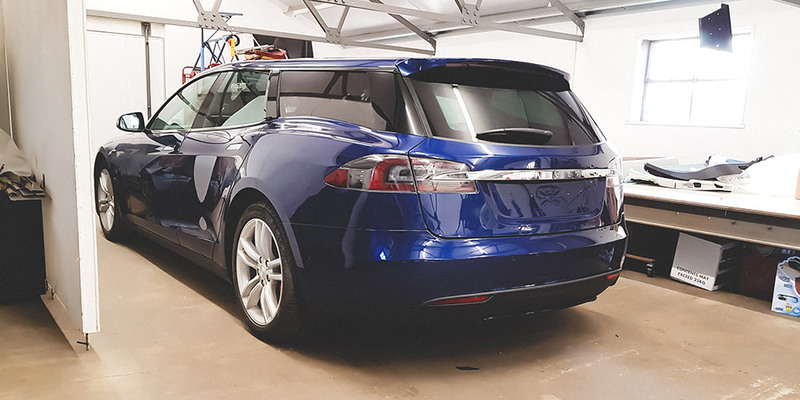 A Tesla Model S “Estate” Wagon was recently built by Norfolk, UK based shop called QWest. The project took around two years, from concept to completion. Qwest’s official website gives the inspiration for a Tesla wagon. Luckily, that friend was Dr. Dorian Hindmarsh, who has nearly 20 years of experience in the automotive realm. Hindmarsh united with designer Jim Router, and together, they founded QWest. The newly christened builder made this Tesla S wagon its first major project. The first goal of the conversion was making the Tesla more practical without sacrificing its good looks. To start, the car’s aluminum roof, C-pillars, trunk, and rear glass were completely removed. For replacements, carbon fiber was sourced from supplier CODEM Composites, which wove the new panels according to QWest’s design. The project also required custom windows from Pilkington, a worldwide manufacturer for automotive glass. 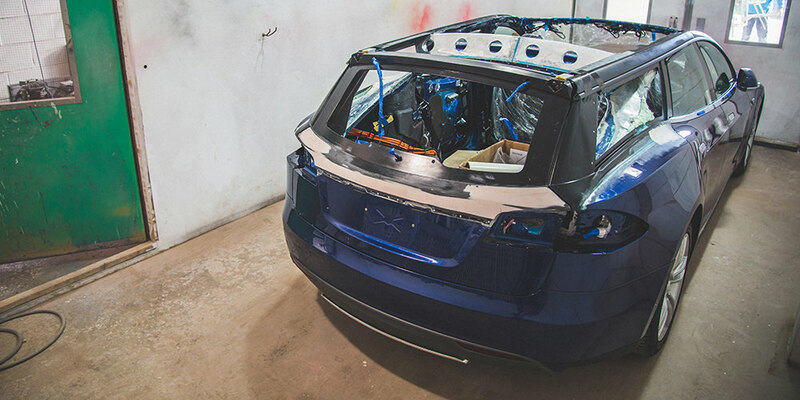 QWest then assembled these components and painted the carbon bodywork to match Tesla’s original color. Dr. Hindmarsh confirmed to The Drive that the finished car is about 12 kilograms (26 pounds) lighter than a standard Model S, and the hatch adds 7.4 cubic feet of cargo space. QWest claims that it will be able to complete customer conversions in 10 weeks. 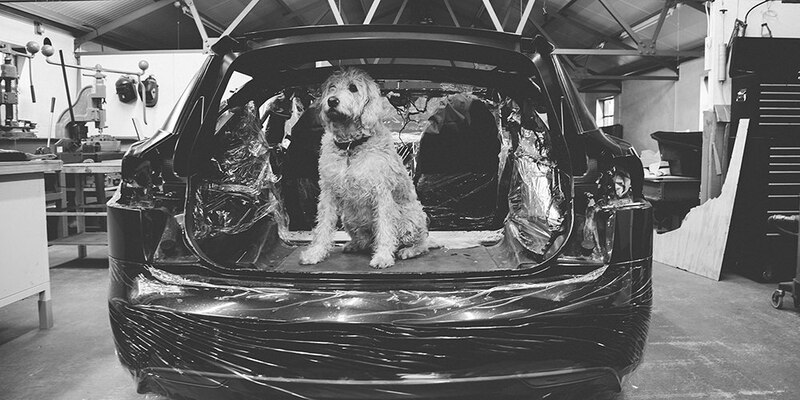 Buyers will be able to furnish the wagon’s interior in carpet, leather, or tougher, dog-friendly materials. There is also an optional split tailgate in the works. Depending on the success of the Tesla Model S Estate, QWest hopes to customize all manner of EV and hybrid vehicles.